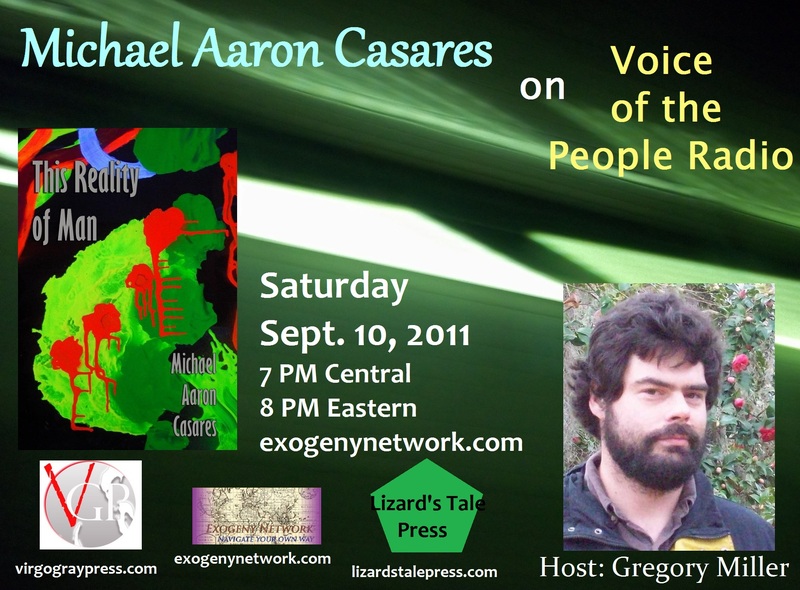 Publisher, poet and editor Michael Aaron Casares will be a guest on Voice of the People Radio on Saturday, September 10, 2011 at 7 PM Central / 8 PM Eastern. The program will simulcast live on UPRN 105.3 FM New Orleans, LA, as well as on the Exogeny Network on the Internet. Michael Aaron previously appeared as a guest on the Voice of the People radio program in May of 2009 when he spoke with then host, November Hanson about his chapbook “The Terrorist.” Michael will this time be discussing his latest publication, This Reality of Man (Lizard’s Tale Press, 2011), a 94 page book that contains poems, interviews and reviews, with Greg Miller, new host of Voice of the People Radio. 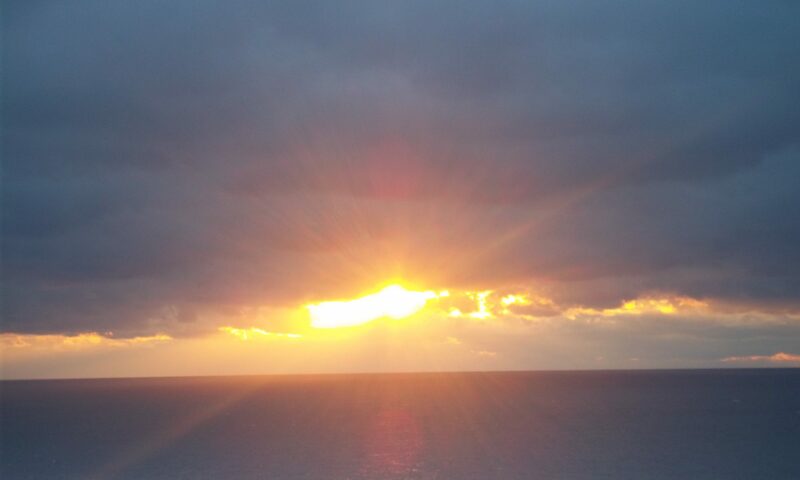 For more information, one may visit the Exogeny Network website: http://exogenynetwork.com/. *Update 9/15* The September 10th interview is now availabele for stream or download at the following link: http://paranormalradionetwork.org/2011/09/10/voice-of-the-people-guest.aspx . Many thanks to Greg Miller and his crew!